Drape your Balance Bar over your shoulders like a yoke. Then wrap your arms over the top from behind. Your arms should hang loosely and comfortably without pressing too hard on your neck. 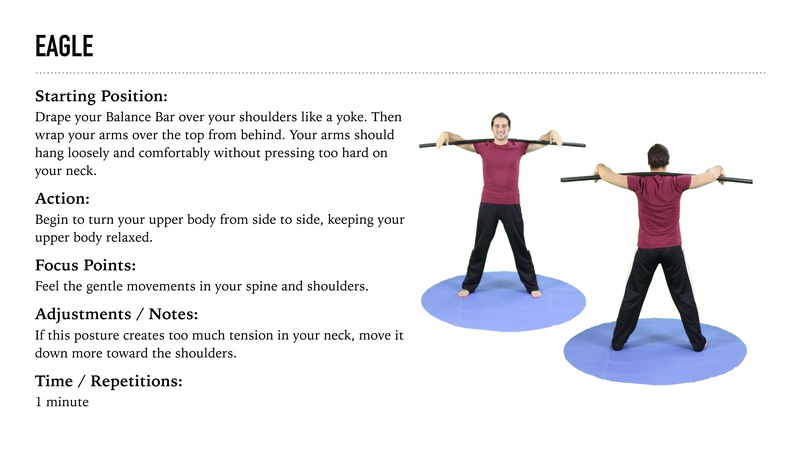 Begin to turn your upper body from side to side, keeping your upper body relaxed. Feel the gentle movements in your spine and shoulders. If this posture creates too much tension in your neck, move it down more toward the shoulders.